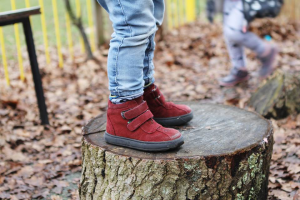 Located in the open sports grounds of Hickmans Lane in Lindfield near Haywards Heath, our Lindfield Lodge childcare nursery setting offers our children ample space for children to run and play- whether they be pre-schoolers or toddlers. The setting is registered for up to 28 children. The approach is very child focused, practitioners have a strong ‘Image of the child’ where they are believed to be ‘rich in potential, strong, powerful, competent and most of all connected to adults and children. The image of the child underpins all of the learning. 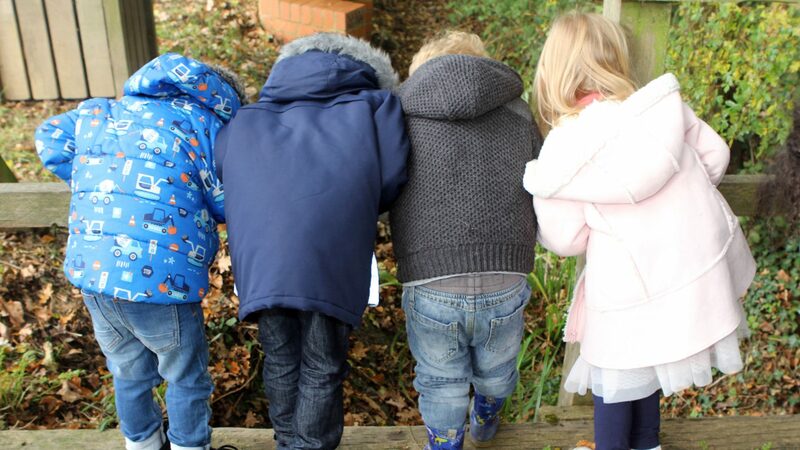 At Norto5 we make our setting and the environment naturally challenging for all children. We want to create a play experience which will appeal to the interests of the all children. 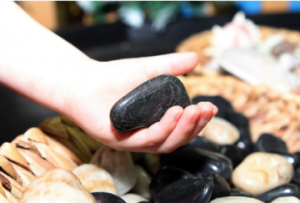 Natural and open-ended resources provide a vast range of opportunities; they can be used by children in their original state, or imagined into something else. The use of natural resources allows children to experience what they are and what they could possibly be used for. So, eradicate the old ‘plastic fantastic’ way of learning and encourage more natural, open-ended resources and loose parts. 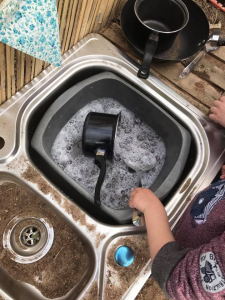 The way natural resources look, feel, smell and taste all provide children with great learning opportunities whilst also ensuring they are getting a better understanding of those objects. Plastic representations do not give anything like the same possibilities. If a child’s only experience is of a plastic lemon, when will they find out that actually, lemons are sour? That they are white underneath the yellow skin? That they are segmented? 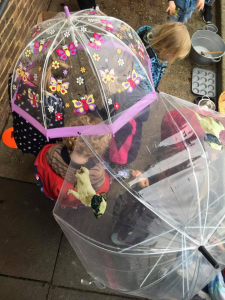 Providing a child with the real thing is a great way to help find those ‘teachable moments’ and support their understanding of the natural world. 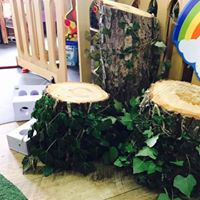 We have also found that using a variety of wooden objects, such as blocks, can provide children with a more ‘open-ended’ experience because the resources can be anything. They allow children to be creative and express themselves freely through their play; they are not restricted by the pre-set limitations of objects or plastic representations of items. For example, wooden blocks can be used to build a rocket, a car, a plane, a building or even a bridge. In an environment that advocates open-ended resources and loose parts, the materials are carefully selected for their potential to enhance learning and discovery and encourage children to lead in this. Many open-ended resources, although seeming very little on their own, actually come to life when a child picks them up and begins to interact. Another great way to use natural resources is to create treasure baskets for exploratory and sensory play. 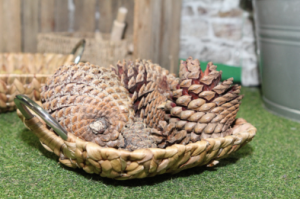 One of the reasons for creating treasure baskets using natural materials is that they provide a variety of different textures for babies and children to experience, unlike plastic resources which are usually smooth in feel. Mud play is now recognised as a source of learning as there are vast learning opportunities during mud play. 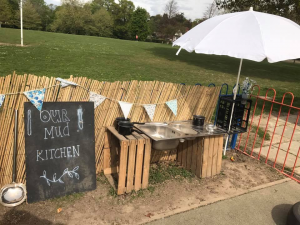 Many early years settings have a mud kitchen which is great for allowing children to explore mud play further whilst developing their imagination skills. 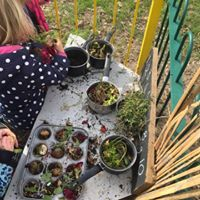 Incorporating fresh herbs, fruit, vegetables, flower petal, grass, play dough, water and pine-cones are just an example of additional resources that can be added to extend play. By touching mud, feeling it slip through their fingers when wet, or crumble when dry, moulding shapes, and so on, children are developing their sensory skills. Sensory play is crucial for brain development for building nerve connections which are important role for all kinds of learning. This development also improves a child’s ability to complete more complex tasks. 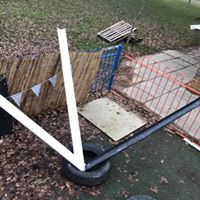 We have the same belief as the forest school approach where the perfect outdoor space is multifunctional, can be used in all weather conditions, is well organised and can stimulate children. 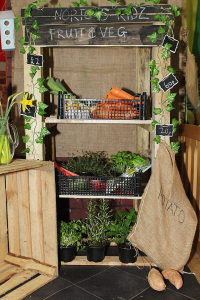 It is important that they interact, have fun and link their experiences outdoors, back into the classroom environment, for example by growing and eating their own vegetables. Caring for the environment is also a very important consideration when using any outdoor space. We take inspiration from children’s enthusiasm to play. Immersing themselves in new activities to develop a wide variety of new skills is vital. We constantly strive to make good use of our outdoor space, as we believe that the great outdoors is the hub of a happy successful school. 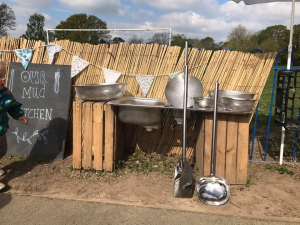 We are driven by the positive use of our outdoor spaces and believe that it is a central role in the nursery. Many ideas are generated from a variety of sources, but mostly from using the natural materials in the environment. The theory of “loose parts” first proposed by architect Simon Nicholson in the 1970’s has begun to influence child-play experts and the people who design play spaces for children in a big way. Nicholson believed that it is the ‘loose parts’ in our environment that will empower our creativity. In a play, loose parts are materials that can be moved, carried, combined, redesigned, lined up, and taken apart and put back together in multiple ways. They are materials with no specific set of directions that can be used alone or combined with other materials. Loose parts can be natural or synthetic. 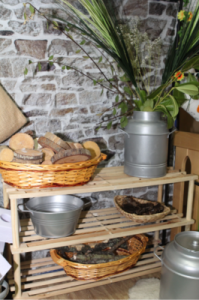 In a preschool outdoor environment we can provide an array of loose parts for use in play such as stones, stumps, sand, gravel, fabric, twigs, wood, pallets, balls, buckets, baskets, crates, boxes, logs, stones, flowers, rope, tyres, balls, and shells. Child-initiated play supports children in having ideas and being in control of their learning. It enables them to learn through first-hand experiences, allowing them to choose how to use the resources to do so. 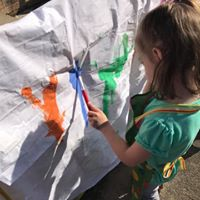 Child-led activities may start out as an adult initiated activity however by allowing the child space and time; the child may extend the resources and ideas given to create their own experience. It is important to strike a balance between adult led and child initiated activities to meet best the children’s outcome. Our environment is a vital factor in supporting child led play. We create the areas to meet the different needs of play can which enable children to participate in child initiated activities and use the space to build on their ideas and experiences. We provide quiet areas to allow children to observe others and gives them time and space to reflect on their learning. Our environment encourages the investigation and exploration to take place. This supports children in thinking of ideas and alternative ways to build on activities.